The TCM Classic Film Festival is dedicated to famed host and historian Robert Osborne. The fest runs Thursday through Sunday in Hollywood. This year’s edition of the TCM Classic Film Festival will be bittersweet. 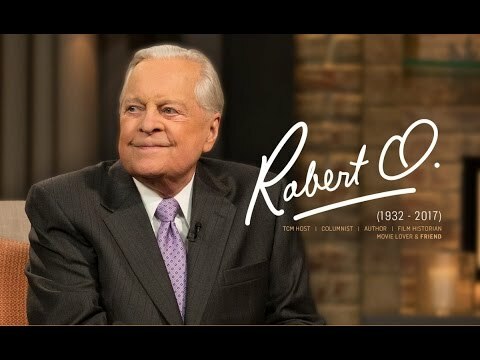 Our excitement about four days filled with gorgeous movies and great guests is tempered with sadness because of a very sad loss: TCM host and historian Robert Osborne passed away on March 6 at his home in New York City. He was 84. 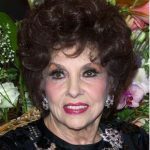 The fest, which runs in Hollywood from Thursday, April 6, to Sunday, April 9, is dedicated to Osborne’s memory and we hope that this year’s theme – Comedy in the Movies – will help to chase the blues away. 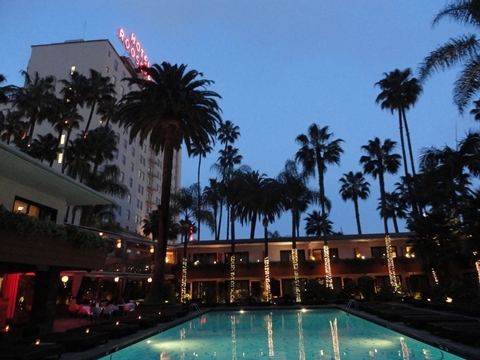 And the campy noir treat “Whatever Happened to Baby Jane?” will screen Friday night poolside at the Roosevelt Hotel. There are, in fact, nine themes for the fest: Discoveries; Essentials; Festival Tributes; Dark Comedies; Divorce Remorse; Movies Spoofs; Hey, That’s Not Funny; Special Presentations; and Nitrate. As for Nitrate, the TCM program guide points out that films produced before the early 1940s were released on nitrate stock, which has a luminous quality and higher contrast than the cellulose acetate film that superseded it. (Nitrate was replaced because of its volatile nature.) 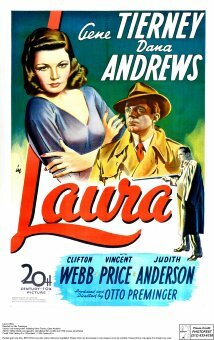 The film noir classic “Laura” is part of this roster. That is an understatement! There are about 90 films at the fest. Plus, there is a full slate of special guests and events – Mankiewicz will interview veteran actor Michael Douglas; director Peter Bogdanovich will discuss his career as will blacklisted actress Lee Grant; comedy greats Carl and Rob Reiner will be honored at a hand and footprint ceremony at the TCL Chinese Theatre IMAX – as well as panels, parties, presentations, book signings and more. Mr. Osborne would be proud. Noir City: Hollywood will run Friday, March 24, to Sunday, April 2, at the Egyptian Theatre in Hollywood. The famed fest is presented by the American Cinematheque in collaboration with the Film Noir Foundation. Organizers say the fest will feature favorite rarities as well as many never-before-screened obscurities. This 19th edition of the event aims to replicate the movie-going experience of that time: 10 double bills, each featuring a major studio A picture paired with a shorter B movie. 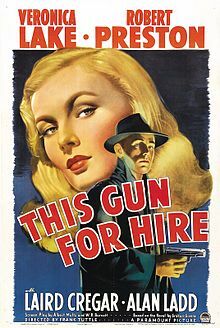 Eddie Muller and Alan K. Rode of the Film Noir Foundation will introduce the movies. 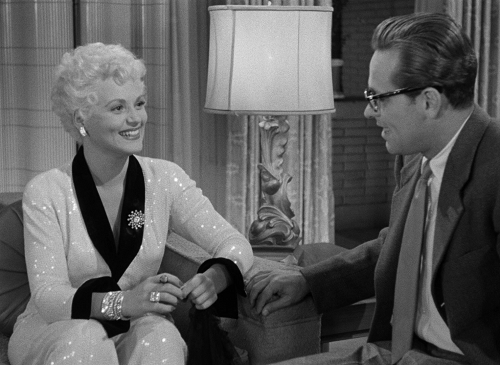 Holliday and Holden in “Born Yesterday.” Turns out, Judy ain’t as dumb as she looks. And might there be a third title to feature redheads?! So far, we have “Those Redheads from Seattle” and “Red-Headed Woman.” Let’s hope more are announced. We are also eager for the slate of panels, special guests and parties that have come to define this fest. Organizers do a truly stellar job of planning and programming and keeping their cool amid the craziness. Wry chuckles, silly humor, belly laughs, boundless fun. We’re in! Last on the lineup but first on the list of any self-respecting Francophile (bien sur!) 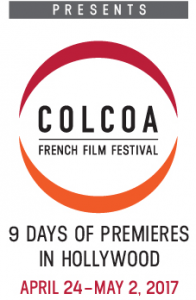 is the 21st annual City of Lights City of Angels (COLCOA) French Film Festival. COLCOA runs Monday, April 24, to Tuesday, May 2, at the Directors Guild Theater in Hollywood. So far, we know that director Damien Chazelle, who just won the Oscar for “La La Land,” (at 32, he is the youngest director to win the coveted prize) will present Leos Carax’s “The Lovers on the Bridge,” starring Academy Award® winner Juliette Binoche and Denis Lavant. 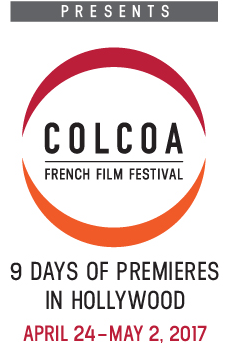 COLCOA will honor writer-director Stéphane Brizé with a special presentation of “Not Here To Be Loved” (2005) and the festival will host the West Coast premiere of Brizé’s new film “A Woman’s Life,” (Une Vie), based on the Guy de Maupassant novel and starring Judith Chemla. Of special interest to noiristas: COLCOA will present the world premiere of the newly digitally restored “One Day in a Clown’s Life,” the first film written and directed by Jean-Pierre Melville. The screening honors the 100th anniversary of the iconic filmmaker’s birth. 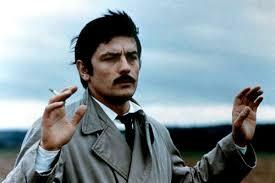 We are looking forward to our date with Delon. Also part of the Melville birthday celebration is a special presentation of “Le Cercle Rouge,” starring Alain Delon, Bourvil and Yves Montand. Additionally, COLCOA will show an international premiere of “Farewell Bonaparte” (1985), the beautifully restored historical fresco from filmmaker Youssef Chahine. “Playtime,” Jacques Tati’s inventive and ambitious 1967 film, will have a special presentation at the festival to celebrate its 50th (gasp!) anniversary. The full schedule will be announced April 5. By the end of the TCM Classic Film Festival on Sunday night, we were bleary-eyed and decidedly not bushy-tailed. But we were blissed out on terrific movies! 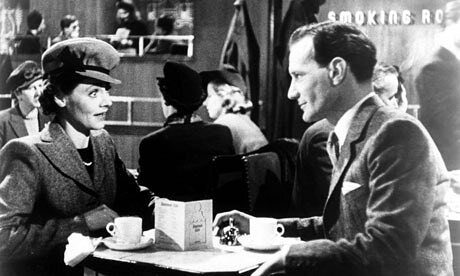 In “Brief Encounter,” Celia Johnson and Trevor Howard are a proper pair who unexpectedly find true passion. After starting off with “A Tree Grows in Brooklyn” (1945, Elia Kazan), we would not have passed up the chance to see David Lean’s brilliant 1945 love story “Brief Encounter,” starring Celia Johnson and Trevor Howard, on the big screen. Friday began with 1955’s “Love Me or Leave Me,” directed by Charles Vidor and starring Doris Day as real-life torch singer Ruth Etting, married to a gangster, played by James Cagney. 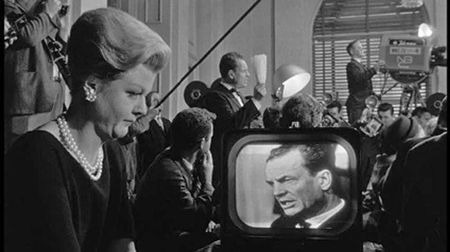 And the highly anticipated screening of “The Manchurian Candidate” (1962, John Frankenheimer) was enthralling and chilling, especially in this election year. 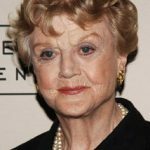 Alec Baldwin interviewed Angela Lansbury and she was a delight. 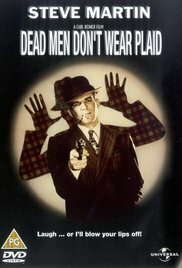 On Saturday, writer-director Billy Wilder’s “Ace in the Hole” (1951) starring Kirk Douglas was the ideal preface to 1982’s noir spoof “Dead Men Don’t Wear Plaid” starring Steve Martin. Carl Reiner, who wrote and directed “Dead Men,” was interviewed after the movie. Hilarious! And smutty, just as you’d expect. 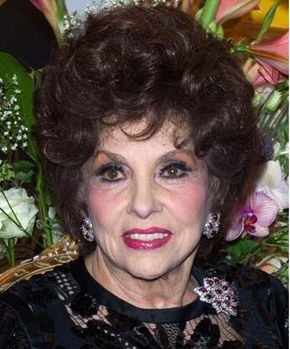 A rare treat was the interview with film legend Gina Lollobrigida at the showing of “Buona Sera, Mrs. Campbell” (1968, Melvin Frank). And rivaling Reiner’s entertainment value was Elliott Gould, who appeared at “The Long Goodbye” (1973, Robert Altman). Gould nicely met the challenges of playing Raymond Chandler’s iconic detective Philip Marlowe. The French New Wave classic “Band of Outsiders” (1964, Jean-Luc Godard) ended a full day of fest-going. All too soon, it seemed, it was Sunday and there was still more to see: “All That Heaven Allows” (1955, Douglas Sirk), “She Wore a Yellow Ribbon” (1949, John Ford) and “The Band Wagon” (1953, Vincente Minnelli). In attendance at the latter was director-choreographer Susan Stroman. This year’s theme was Moving Pictures and the organizers were right. Kleenex was as essential as Coke and popcorn. Tabesh was joined on the panel by TCM host Ben Mankiewicz, general manager Jennifer Dorian and festival managing director Genevieve McGillicuddy. The fest runs Thursday through Sunday in Hollywood. The hottest film-noir ticket is “The Manchurian Candidate” on Friday night. 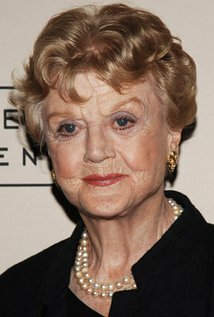 Angela Lansbury will attend the screening. 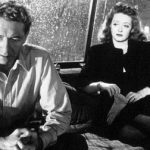 While films about religion, sports and animals fit nicely with that emotional theme, film noir doesn’t mesh quite as naturally. But our friends at TCM would never leave noiristas out in the cold. Fresh from the Film Noir Foundation’s recent Noir City Hollywood is the Foundation’s restoration of the 1956 Argentine noir “Los tallos amargos” (“The Bitter Stems,” 1956, Fernando Ayala). There’s also a screening of 1955’s “Love Me or Leave Me,” a rare gem, directed by Charles Vidor and starring Doris Day as real-life torch singer Ruth Etting, married to a gangster, played by James Cagney. Director John Berry’s son Dennis Berry is scheduled to attend Friday’s screening of the 1951 film noir “He Ran All the Way,” starring John Garfield as a thief on the run holding Shelley Winters hostage. Dalton Trumbo wrote the script. Another essential noir is “Private Property” (1960, Leslie Stevens), a twisted lust triangle, starring Warren Oates. Friday’s film-noir fare finishes with “Repeat Performance” (1947, Alfred Werker), newly restored by the Film Noir Foundation. Noir master Billy Wilder’s “Ace in the Hole” (1951) starring Kirk Douglas and 1982’s noir spoof “Dead Men Don’t Wear Plaid” starring Steve Martin, screen on Saturday. Carl Reiner, who wrote and directed “Dead Men,” will be interviewed after the movie. Representing the neo-noir contingent is “The Conversation” (1974, Francis Ford Coppola, who will get his star on Hollywood Boulevard during the fest), Milos Forman’s Oscar-winning “One Flew Over the Cuckoo’s Nest” (1975), with Jack Nicholson in one of his finest hours, and “The Long Goodbye” (1973, Robert Altman) in which Elliott Gould brings Raymond Chandler’s Philip Marlowe to life in the ‘70s, as a scruffy loner. Gould will be interviewed at the fest. Jean-Luc Godard’s “Band of Outsiders” (1964), a French New Wave reinterpretation of classic Hollywood crime movies, must not be missed. John Huston’s “Fat City,” from 1972, screens Sunday. This great, gritty boxing drama stars Stacy Keach and Jeff Bridges. But perhaps the hottest film-noir ticket is “The Manchurian Candidate” (1962, John Frankenheimer), showing Friday night. Special guests are Angela Lansbury (can’t wait!) and Alec Baldwin. These are just a few highlights of a festival that is packed with events, discussions and fun things to do. Thanks, TCM, for another great year. Additionally, TCM is excited to announce the launch of Backlot, the network’s first fan club. Backlot will offer exclusive content, never-before-seen talent interviews, archival videos from the TCM vault, an exclusive TCM podcast, as well as opportunities to win visits to the TCM set, attend meet and greets with TCM hosts and the opportunity to influence programming through online votes. TCM Backlot can be accessed at tcmbacklot.com for an $87 annual fee. And, coming this fall, TCM is teaming up with Criterion to launch FilmStruck, an art-house lover’s streaming service. Stay tuned for more details. 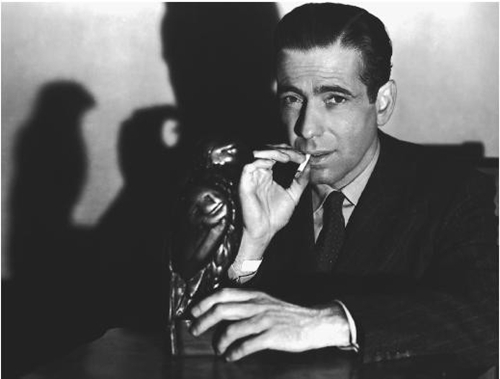 ‘The Maltese Falcon,’ directed by John Huston and arguably the first film noir, turns 75 this year. To honor that milestone, the movie will screen in select cities nationwide on Sunday, Feb. 21, and Wednesday, Feb. 24. TCM and Fandango are presenting the Warner Bros. film. It’s the stuff that dreams are made of. The Maltese Falcon/1941/Warner Bros./100 min. “The Maltese Falcon,” a spectacularly entertaining and iconic crime film, holds the claim to many firsts. It’s a remarkable directorial debut by John Huston, who also wrote the screenplay. 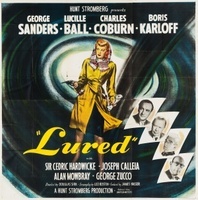 It’s considered by many critics to be the first film noir. (Another contender is “Stranger on the Third Floor” see below.) It was the first vehicle in which screen legend Humphrey Bogart and character actor Elisha Cook Jr. appeared together – breathing life into archetypal roles that filled the noir landscape for decades to come. It was veteran stage actor Sydney Greenstreet’s first time before a camera and the first time he worked with Peter Lorre. The pair would go on to make eight more movies together. Additionally, “Falcon,” an entry on many lists of the greatest movies ever made, was one of the first films admitted to the National Film Registry in its inaugural year, 1989. Based on a novel by Dashiell Hammett, Huston’s “Falcon” is the third big-screen version of the story (others were in 1931 and 1936) and it’s by far the best. Huston follows Hammett’s work to the letter, preserving the novel’s crisp, quick dialogue. If a crime movie can be described as jaunty, this would be it. Huston’s mighty achievement earned Oscar noms for best adapted screenplay, best supporting actor (Greenstreet) and best picture. As Spade, he sees through the malarkey, cuts to the chase and commands every situation, even when the odds are stacked against him. At one point he breaks free of a heavy, disarms him and points the guy’s own gun at him, all while toking on his cig. He’s equally adept at using wisecracks and one-liners to swat away the cops, who regularly show up at his door. Mary Astor plays leading lady Brigid O’Shaughnessy to Bogart’s Sam Spade and it is she who sets the story in motion when she walks into Spade’s San Francisco office. Brigid asks Spade and his partner Miles Archer (Jerome Cowan) to trail a man named Thursby who, she says, is up to no good with her sister. They accept the job and Archer takes the first shift of following Thursby. Next morning, Archer’s dead. Turns out that Brigid doesn’t have a sister and Archer’s widow (Gladys George) has the hots for Spade. Spade’s ultra-reliable and resourceful secretary, Effie (Lee Patrick) is the one gal he can trust and it’s clear she means the world to him. At one point he tells her, “you’re a good man, sister,” which in Spade-speak is a downright gushfest. He might like the look of Brigid and her little finger, but he won’t be wrapped around it anytime soon. Humphrey Bogart as Sam Spade owns the movie, but he has a stellar support cast. 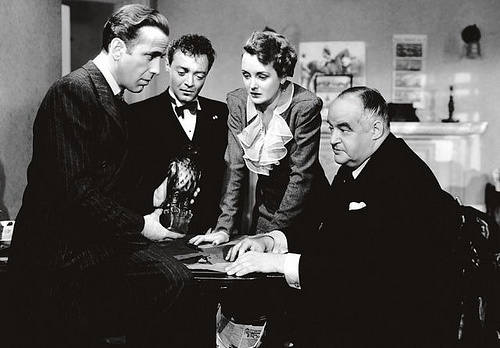 From left: Bogart, Peter Lorre, Mary Astor and Sydney Greenstreet. Astor, a Hollywood wild child of her time, who left a long string of husbands and lovers in her wake and generated much fodder for the tabloids, was brilliant casting for the part of bad-girl Brigid O. True to form, Astor allegedly was having an affair with Huston during the making of the film. There is no doubt that Bogart owns this guy’s-guy male-fantasy picture, but Astor and the stellar support cast are unforgettable in their roles. As a good-luck gesture to his son, John, actor Walter Huston plays the part of the old sea captain. Peter Lorre drips malevolence as the effeminate and whiny Joel Cairo, and he has a foreign accent, which in Hollywood is usually shorthand for: he’s a bad’un. Making his film debut at 61, Greenstreet’s Kasper Gutman is both debauched and debonair, a refined reprobate with a jolly cackle and tubby physique (he was more than 350 pounds!). Warner Bros. had to make an entire wardrobe for Greenstreet; Bogart wore his own clothes to save the studio money. One more Bogart contribution was adding the line: “The stuff that dreams are made of” at the end of the film, paraphrasing a line in “The Tempest” by William Shakespeare. 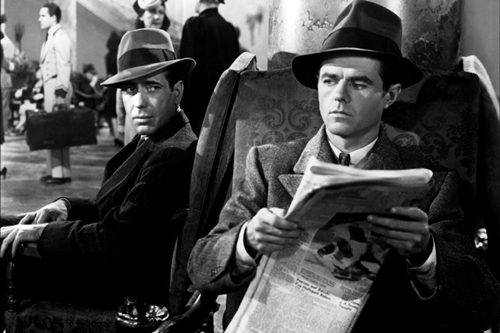 Tough-guy Sam Spade (Bogart) and wimpy Wilmer Cook (Elisha Cook Jr.) are perfect foils. And honing the sort of performance that would become his trademark, Elisha Cook Jr. stamps the character of warped thug Wilmer Cook with code for “psycho” (darting eyes, bubbling rage, edgy desperation) as if it were a neon light attached to his forehead. 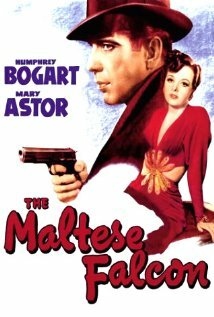 Though there were two other celluloid versions of Hammett’s story, in my view, there’s only one “Maltese Falcon” and this is it.